Rebecca Aucoin is a recent Dalhousie graduate, completing a BSc with combined honours in Biology and Environment, Sustainability and Society. She is looking forward to returning to Dalhousie to enter the Master of Marine Management Program. Rebecca grew up on the Saint John River in New Brunswick, but her interest in aquatic life developed while studying aquaculture during her BSc. Her passion lead her to pursue work as an Aquatic Science Technician with Fisheries and Oceans Canada, performing fish community assessments and Asian Carp early detection. While her work experience has focused on fish species, her honours research centered on aquatic life at a more microscopic level with her project on micronutrient uptake in marine picoeukaryotic phytoplankton. Rebecca hopes to focus her graduate research on marine fisheries management and the tools that can be used to protect marine ecosystems and biodiversity, including marine protected areas. Mikaila Bickford joins the MMM program from Toronto, Ontario, where she graduated from the University of Toronto in 2012 with a B.A. (Honours) in Social Cultural Anthropology. Since graduating, Mikaila has been employed in hospitality and tourism, working in resort management and as a scuba dive instructor throughout the Caribbean, Asia, and the South Pacific. As a dive instructor and ocean lover, Mikaila is concerned with the effects of human pressures on marine biodiversity. Her aspiration in the field of marine management is to compel people to take action to protect our oceans through media engagement, community development, local policy, and the development of educational programs. Throughout her tenure in the MMM program she hopes to merge her background in social anthropology and tourism with a more multidisciplinary approach, cultivating a more thorough understanding of marine management to act as a liaison between science, local community, and the tourism industry. Jessica grew up in Nova Scotia, where she developed an affinity for the oceans from a young age. After working for over three years in a communications position for an environmental NGO, she decided to focus her energy entirely on marine conservation and stewardship. She holds a bachelor of arts from Acadia University and a diploma in public relations from the Nova Scotia Community College. A firm believer in the importance of interdisciplinary learning, Jessica will build upon her diverse background in communications and conservation, with the opportunity to study law, science and other disciplines in the context of marine affairs through the MMM program. She is particularly interested in the role of strategic communications and public engagement in advancing marine conservation initiatives that are successful in achieving both socioeconomic and ecological objectives. Graduate Research Project: Reconciling Indigenous governance in marine spaces: Mi’kmaq engagement in tidal energy in the Bay of Fundy, N.S. Taylor grew up in the Annapolis Valley along the Bay of Fundy, where a strong connection to the natural world flourished. 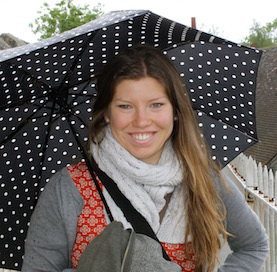 As a recent graduate in the Environmental and Sustainability program at Acadia University, she is eager to continue her passion in the MMM program. 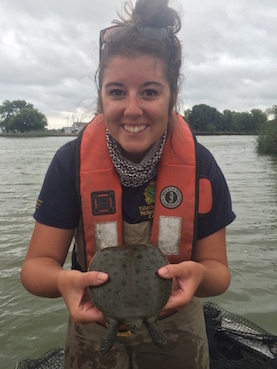 Taylor’s interest in marine life led her to assist in researching the effects of suspended sediment on benethic invertebrates. 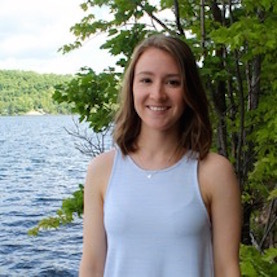 Taylor's experience at Acadia, and other aspects of her life (inlcuding learning the values of managing a responsible and sustainable business), has ignited her interst in fisheries and ecosystem management. Taylor is primarily concerned with biodiversity loss, and habitat degradation within the marine aquaculture setting, as well as exploring sustainable development alternatives. Christina is a recent graduate from the University of Guelph with a Bachelor of Science, majoring in Marine and Freshwater Biology. During her time as an undergraduate, Christina discovered many opportunities to expand her understanding of marine life. She participated in a field course at the Huntsman Marine Science Center in St. Andrews, New Brunswick, studying the temperature tolerance of the common marine snail in the intertidal zone. Christina also volunteered in the Hagen Aqua lab and Ocean Wise, a Vancouver Aquarium conservation program, which sparked her interest in sustainable seafood. Christina is looking forward to gaining a better understanding of marine policy and management strategies, while integrating her strong background in biology to encourage sustainable resource use. She intends to focus on fisheries management and developing strategies for sustainable seafood consumption. She is excited about the challenges and rewards the Marine Affairs program will bring. Joana received her BSc Honours in the Life Sciences from McMaster University in 2012, but her passion for the ocean brought her to Dalhousie University to complete an BSc Honours in Marine Biology. During her studies at Dal, Joana spent a field season researching the population of long finned pilot whales off the western coast of Cape Breton Island, NS. She focused her honours thesis on the changing distribution of this pilot whale population and the potential factors influencing the changes. Joana also worked as a tour guide on a whale-watching vessel on Cape Breton Island, and it was the experience of teaching about the ocean and the importance of its conservation that made her aware of the global need for better ocean literacy. During her time in the MMM Program, she intends to look at the communication aspect of ocean management and its important role in the success of conservation efforts. Kalene is a born Belizean with a love for the ocean and the natural world. She attained an Associate’s degree from St. John’s Junior College and a Bachelor’s degree from Galen University, both in Environmental Science. She joined the Belize Fisheries Department as an Assistant Fisheries Officer in October 2013. Since then, she has gained extensive knowledge on data and fisheries management. During her studies and professional career, she has worked closely with the fisher folk of Belize and local stakeholders in assessing the major fisheries of the Spiny Lobster and the Queen Conch. From this experiense, she has taken an interest in law and policy involved with fisheries management. Kalene enters the program with the experience of her country’s fishing sector and is the 2016 recipient of the Queen Elizabeth II Diamond Jubilee Scholarship Program. Noah Eisner attended the University of Guelph where he attained a BA honours degree in Anthropology. During his studies Noah was able to explore the multifaceted relationships communities have with their surroundings, and how these various connections to local places can have a direct impact on environmental management strategies. Noah has volunteered with the Nature Conservancy of Canada, which gave him hands-on learning experience with environmental restoration projects. Recently, Noah volunteered and later became employed by an NGO named Water First. At Water First, Noah used his background in anthropology to spearhead several projects that furthered the goals of the organization. Even though Noah’s interests concerning marine environments are wide ranging, he hopes that by attending the MMM program he can improve his scientific knowledge in regards to coastal management strategies. As a result, Noah is excited by the prospect of integrating both marine and social science techniques, in order to bring about holistic coastal management policies. 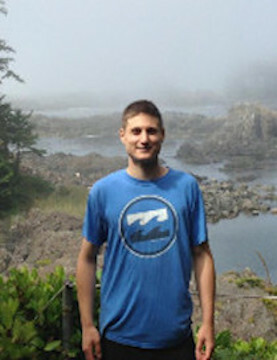 Kelly graduated from the University of Victoria with a BSc in Biology and Environmental Studies. Her lifelong fascination with marine life, a result of her upbringing on the coast of BC, was further inspired by field courses at the Bamfield Marine Sciences Centre and the Hakai Institute. 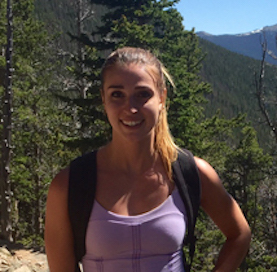 Since completing her BSc in 2013, Kelly has worked as a research assistant in the Starzomski Lab in UVic’s School of Environmental Studies, where her main focus has been developing an online species identification guide for BC’s Central Coast. Her academic and work experiences have given her a great appreciation for the interconnected nature of marine and coastal terrestrial systems, a love of biodiversity, and an interest in the role of science communication in conservation and management projects. During her studies in the MMM program, Kelly aims to develop the tools and knowledge to examine these topics through a policy and management perspective. Originally from Toronto, Emma came to Halifax to pursue a degree in Marine Biology at Dalhousie with a passion for whales and dolphins. During her undergraduate degree, Emma completed various co-op placements, one of which took her to Croatia to study bottlenose dolphins in the Adriatic Sea. Emma completed her Honours thesis on the seasonal presence of blue whale vocalizations in the Gully Marine Protected Area (MPA). After graduating, Emma worked for Fisheries and Oceans Canada analyzing whale vocalizations, and then on modeling suitable habitat for whales in the Northwest Atlantic. These opportunities sparked Emma’s interest in management and the importance of MPAs. 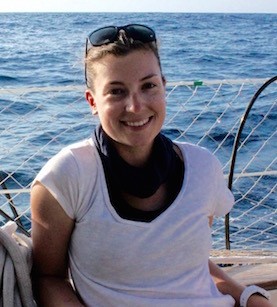 Through the MMM, Emma hopes to gain insight into the policies and management of marine resources and combine her scientific background with these principles. Eventually she hopes to pursue a career assisting with the establishment of MPAs and the preservation of species at risk. 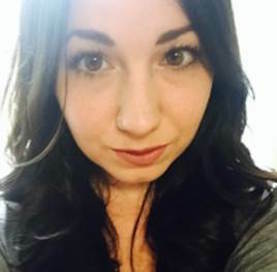 Ainslie is a recent graduate from Thompson Rivers University with a Bachelor of Science Honours in Environmental Biology. At a young age, she was fascinated with nature and the ocean and this has grown throughout her life. During her undergraduate degree, Ainslie volunteered in Costa Rica on a sea turtle conservation project, which encouraged her desire to study marine science. For her honours thesis, Ainslie tracked the movement of intertidal snails using an innovative technology (RFID technology). Ainslie is entering the MMM program to expand her knowledge on marine policy and conservation. She is highly concerned about the welfare of the oceans and her main area of interest is declining shark populations. She wants to gain further insight on human-shark interactions, fishing bycatch, and marine protected areas. Ainslie’s ultimate goal is to become a shark conservation biologist. Emilie graduated from Queen’s University with a major in Biology and a minor in Economics. It was a high school marine biology course in New Brunswick that sparked her interest in marine systems. 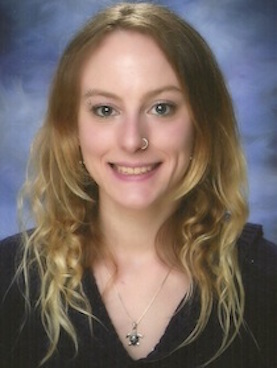 While at university, she began to focus on conservation biology and ecology and soon became aware that an interdisciplinary approach to conservation is very valuable. She augmented her science studies with economics courses, focusing on environmental and natural resource economics. She gained valuable experience from a field course in Hong Kong and Taiwan for the conservation of marine mammals. Furthermore, she gained policy experience working for the Canadian Parks and Wilderness Society in the Ottawa Valley chapter, seeking legislated protection for Gatineau Park in the Ottawa-Gatineau region. Emilie seeks to take a closer look into marine protected areas, studying ways to improve their success rate. Their potential economic gain and positive environmental impact provides incentive to pursue a more efficient system. Jasmine is a recent graduate of McMaster University with a Bachelor of Arts (Honours) in Political Science. Jasmine has always been enamoured by the wonders of the ocean and its creatures. 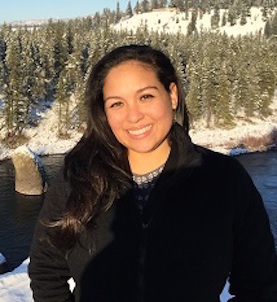 During her undergraduate degree, Jasmine took pride in combining her strong writing skills, enthusiasm for international relations, and love of protecting the ocean. She focused her research on oceanic law and policy and Marine Protected Areas. Jasmine then applied her passion to volunteer work in Fiji and Thailand, where she conducted scientific dives to establish a Marine Protected Area and created public outreach for sustainable fishing and shark conservation, respectively. Through the Masters of Marine Management program, Jasmine is looking forward to developing a multi-discourse view of oceanic conservation. She hopes to learn how to develop effective Marine Protected Area policy with strong enforcement strategy. Additionally, Jasmine hopes to learn more about the protection of threatened/endangered and migratory species. Genevieve Renaud-Byrne earned her B.S in Biological Sciences with a minor in Zoology from the University of Guelph in 2014. During her tenure, she undertook several marine biology related courses and spent her senior year applying this knowledge in the field and lab setting. She studied the impact of the invasive Indo-Pacific Lionfish on herbivorous fish populations and algal composition as part of a research course in the Bahamas and also undertook green sea urchin research at the Hagen Aqualab. Soon after graduating, Genevieve spent fifteen months traveling throughout Asia and Oceania, gaining valuable life experience as well as completing her PADI Divemaster certification. Genevieve is interested in small-scale fisheries and integrative coastal marine management in communities whom are highly dependant on marine resources for their livelihood. She aims to gain a stronger understanding of current sustainable marine management practices that can improve economic stability and preserve our oceans natural resources. Originally from Toronto, Ontario, family expeditions to the sandbars and tidal pools of Prince Edward Island instilled in Simon a love for the ocean and its inhabitants at a young age. Attending Wilfrid Laurier University and studying a semester abroad at Karlstad University in Sweden, Simon completed a degree in Environmental Studies in 2014, minoring in Global Studies. Upon graduation, Simon earned a Divemaster certification with the Utila Dive Center in Utila, Honduras, followed by an Occupational SCUBA certification in Campbell River, British Columbia. As a contract commercial diver, Simon worked primarily with the Regional District of Kootenay Boundary in Christina Lake, BC, volunteering also with the Christina Lake Stewardship Society. 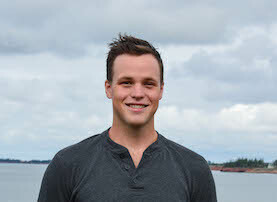 Interested primarily in community-based management, governance structure and urban resilience, Simon hopes to apply marine management to contribute to the conservation of marine environment initiatives in Canada and beyond. Laura completed her undergraduate degree with an honours in biology and a minor in biochemistry at Mount Allison University in 2016. Being given the opportunity to research the thermal physiology of fish for her honours thesis, Laura discovered her passion for the study and preservation of marine life in the context of our changing world. 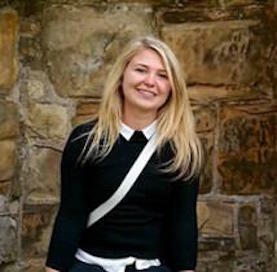 It is also from her thesis work that she discovered the importance of quantitative analyses in the realm of marine biology, and appreciated the opportunity to learn advanced statistical techniques throughout her undergraduate degree. 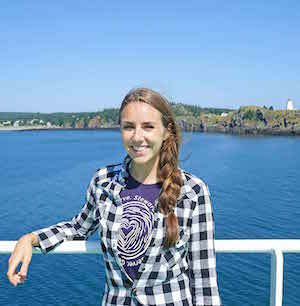 She is anticipating the opportunities that the marine management program at Dalhousie will provide her with, particularly communicating scientific data to a broader audience in the world of fisheries and marine protected areas. She has enjoyed presenting her research (orally and poster) at several conferences across the maritimes. She is looking forward to broadening her knowledge of contemporary issues both close to her hometown of Dartmouth and on a global scale. Weishan Wang comes from China. Graduated with a Bachelor of Business Administration from Shanghai Maritime University, a coastal university that features a strong focus of marine studies and application, Weishan combined the knowledge of business with the shipping industry. 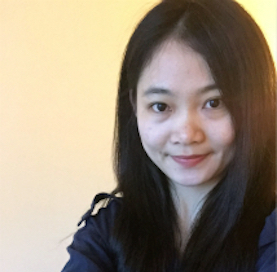 During her degree, she had the opportunity to work as an intern student in Lloyd’s Register Classification Society (China) Co., Ltd at the Shanghai Office for six months. Weishan has a great interest in coastal management. With a particular interest in global supply chain, she intends to study the modern ports and shipping transportation management techniques, in order to find a better way to improve the efficiency and effectiveness of the port. Weishan is a perseverant, optimistic girl with experience in volunteer activities and self tour. She loves cooking, reading and photography. Changxia graduated from Ocean University of China with a Bachelor of Politics and Administration and a Master degree in Law. During Changxia’s undergraduate study and master study, she took elective courses relevant to ocean, Marine Environment Protection, and aw of the Sea. These courses drew her attention in marine issues. In July 2008, she was a volunteer in the clean-up action of the seaweed Enteromorpha prolifera in Qingdao. 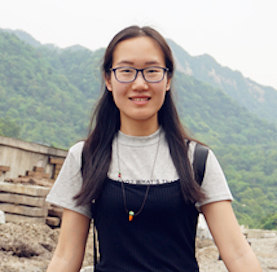 This experience cemented Changxia’s interest in coastal environment problems. She believes that conducting research in marine management is of great meaning. Changxia would like to explore knowledge in integrated coastal management, and marine law and policy.